1) Full Treatment, The. 1961. 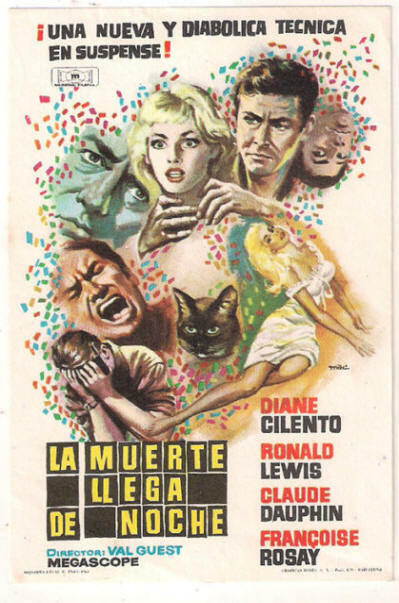 This is the original title, and was later re-released as “Stop Me Before I Kill!“. This is an extremely obscure film about a Grand Prix driver who suffers a head injury. Then, every time he attempts to make love to his new wife, he attempts to strangle her. A psychiatrist is brought to the case in an attempt to help, only to his own downfall. Alas, there is little connection to cars or driving here, except the writers apparently trying to capitalize on a Grand Prix connection. 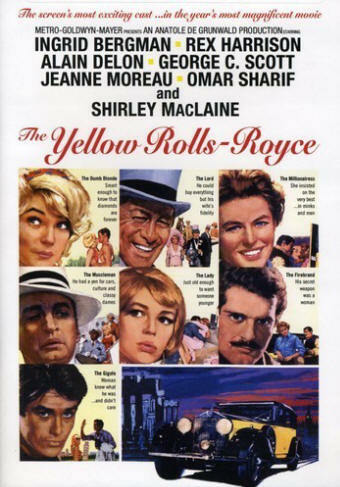 2) The Yellow Rolls Royce. 1964. The story of the ownership of a unique yellow Rolls Royce across the 1920s to the 1940s. The car is owned by a British Lord (Rex Harrison), an Italian mobster’s (George C. Scott) moll (Shirley MacLaine), and a widow in the U.S. (Ingrid Bergman). Lots of drama, and some in the back seat of the Rolls. The attraction to driving enthusiasts here will be the Rolls.